The opening track on British songwriter and singer Natasha Khan's debut record came to her in a dream, one that inspired the former film student and then-nursery school teacher to a second career in music. According to Khan, the dream focused on a black horse that came to her window and invited her to take part in a mythical quest. In the waking world, that quest led to Kahn writing songs filled with themes of otherworldly kingdoms, fanciful allegories and woodland creatures, and eventually setting them to tape for a heady blend of darkly psychedelic indie pop. 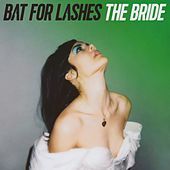 Recorded between her home city of Brighton and London, the record, Fur and Gold, found a home on the Echo Label and was released in September, 2006. Praised by the British press for her artful presentation and lolling songcraft, Kahn put together a live band and hit the road, supporting likeminded indie songstresses CocoRosie. She soon went back into the studio and released the more electro-centric follow-up, Two Suns in 2009.